A Tour of the Most Famous Landmarks in South Africa ~ South Africa’s most famous landmarks are as many and as varied as the country’s landscapes, people and culture. One has only to stand at the V&A Waterfront and look up for Table Mountain’s iconic flat top to loom above you. One of the Seven Natural Wonders of the World, Table Mountain is without doubt South Africa’s most famous landmark. Head to the top for the best views the of the Mother City. Spend a few days or weeks exploring. 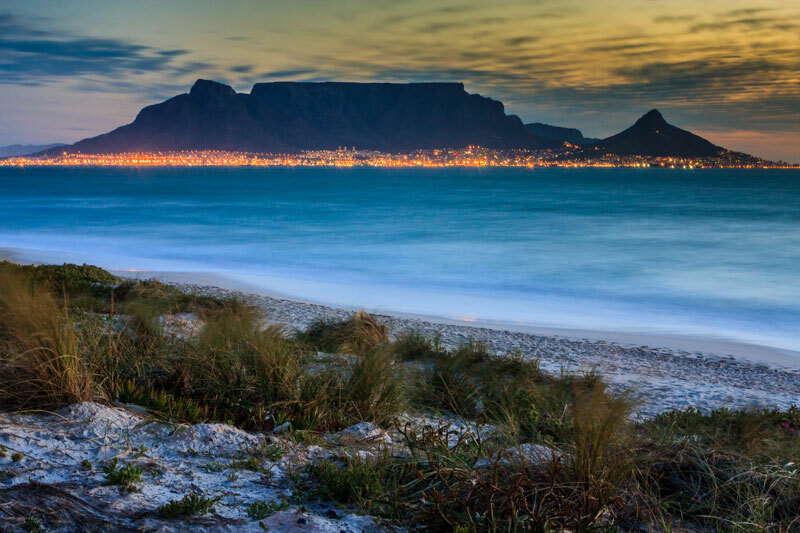 To experience the Cape, book the perfect accommodation in Cape Town for your holiday. Leave this UNESCO World Heritage Site off your list of famous landmarks in South Africa at your peril. 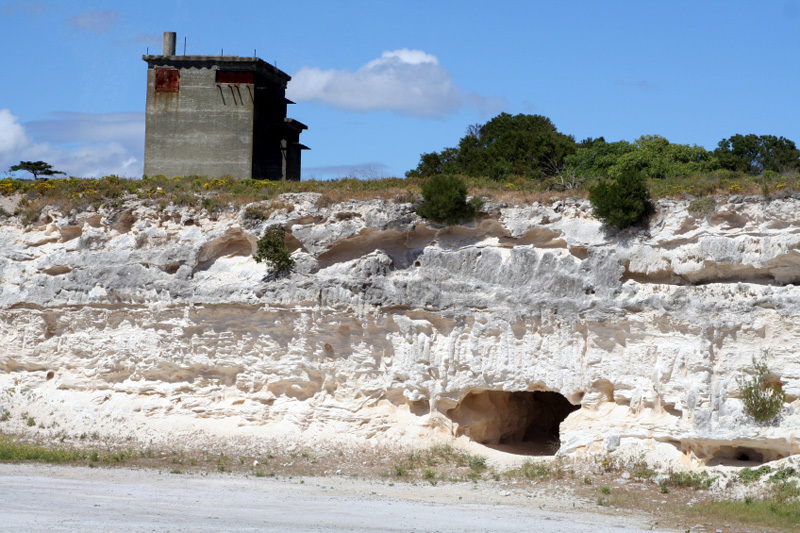 Most well known as the place where Nelson Mandela served 18 of his 27 jail years, Robben Island has also served as a leper colony and animal quarantine station. Some of today’s tour guides are former inmates of the prison and a visit, which begins with a ferry ride from the V&A Waterfront, repeatedly makes top 10 lists of things to do in South Africa. 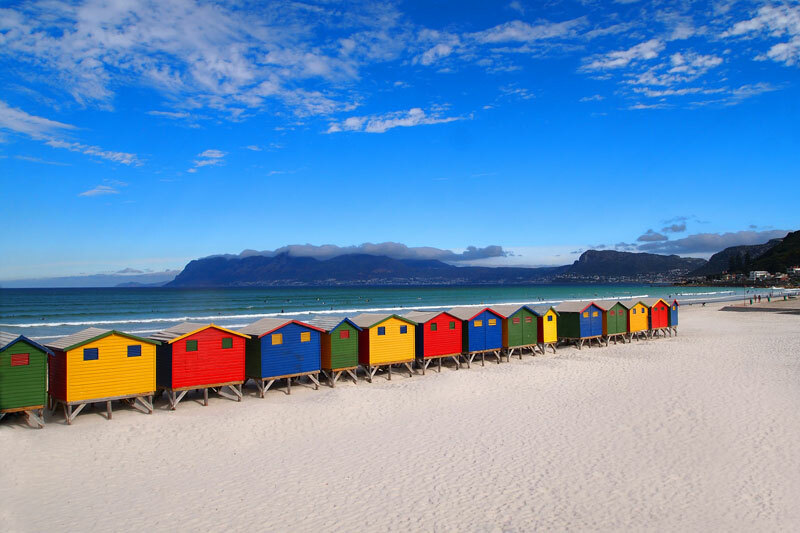 Cape Town’s iconic stretch of colourful beach huts rest on the edge of Muizenberg Beach. Reminiscent of the Victorian ‘bathing machines’ that wheeled women to the water’s edge, they feature in just about all Cape Town-related advertising. The best spot for Surfers, book your accommodation in Muizenberg and come and surf our waves. 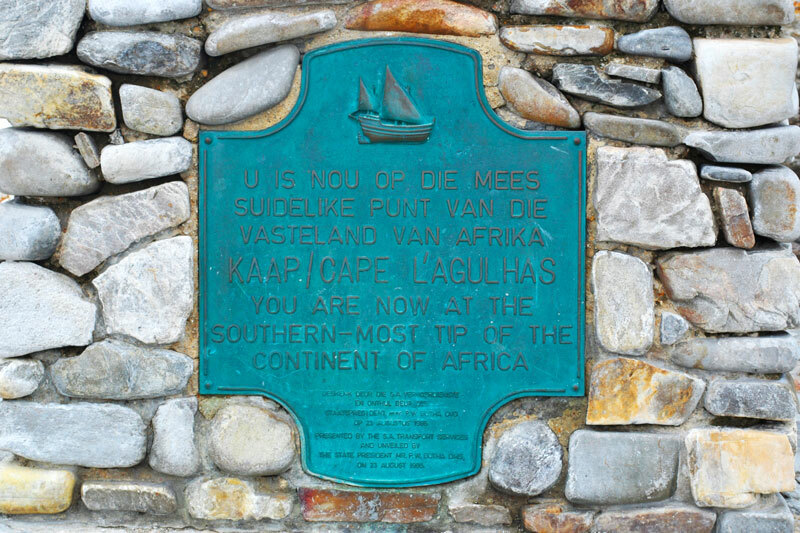 Contrary to popular belief, you won’t find Africa’s southernmost tip on the peninsula of Cape Town, but a little further east at L’Agulhas. 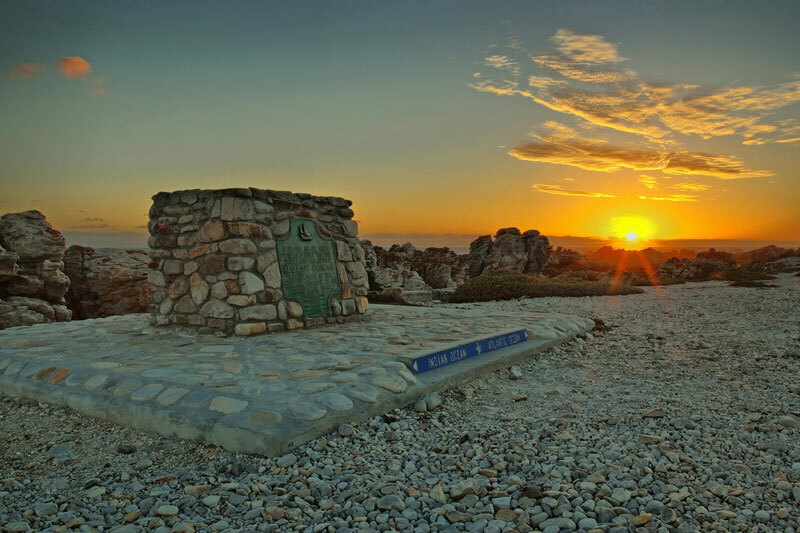 Having your photo taken at this most famous landmarks in South Africa, Cape Agulhas is high on the list for most visitors to the Western Cape. 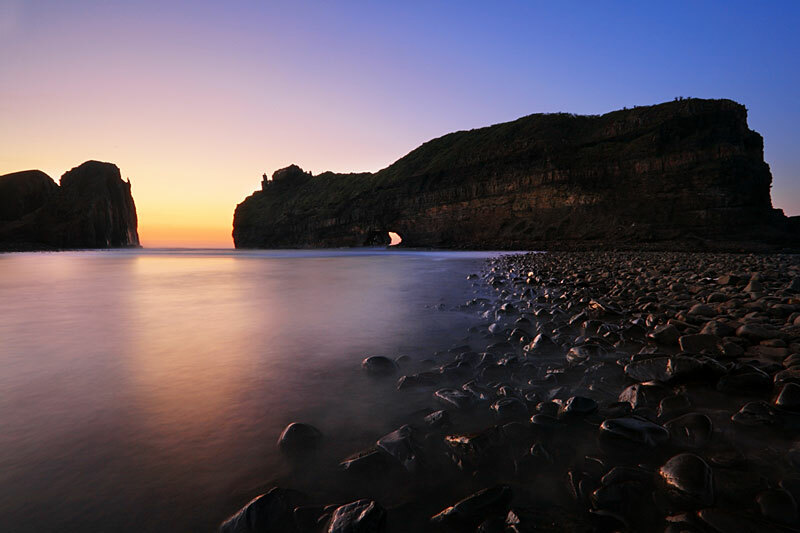 Most Famous Landmarks in South Africa include this unusual hole in a rock on the Wild Coast just south of Coffee Bay. The local Xhosa people call it izi Khaleni, place of thunder, as in certain tides and seasons water claps against the rock loudly. (Make a weekend of it and book a place to stay in Coffee Bay). Don’t miss the chance to visit the seat of the Constitutional Court of South Africa for an overview of the country’s apartheid history. Equally moving and inspiring exhibitions are split over four locations at Constitution Hill. You”ll want to stay a few day to explore Jozi, so book one of our places to stay in Johannesburg. 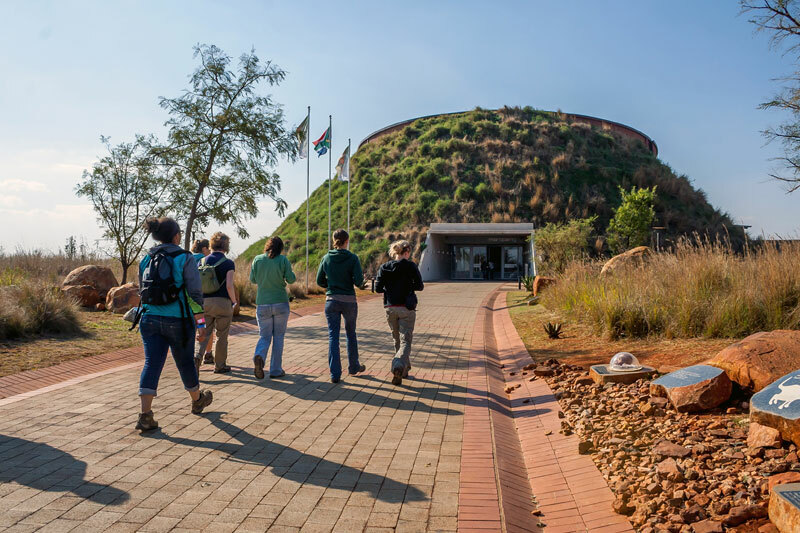 Don’t miss Maropeng, the visitors centre at the Cradle of Humankind that showcases some of the world’s most exciting hominid discoveries. Designed in the shape of a burial mound, the interactive exhibits about the history of life are excellent. Try to spend a week in the area – the region is gorgeous and there are plenty of great Magaliesberg accommodation options. 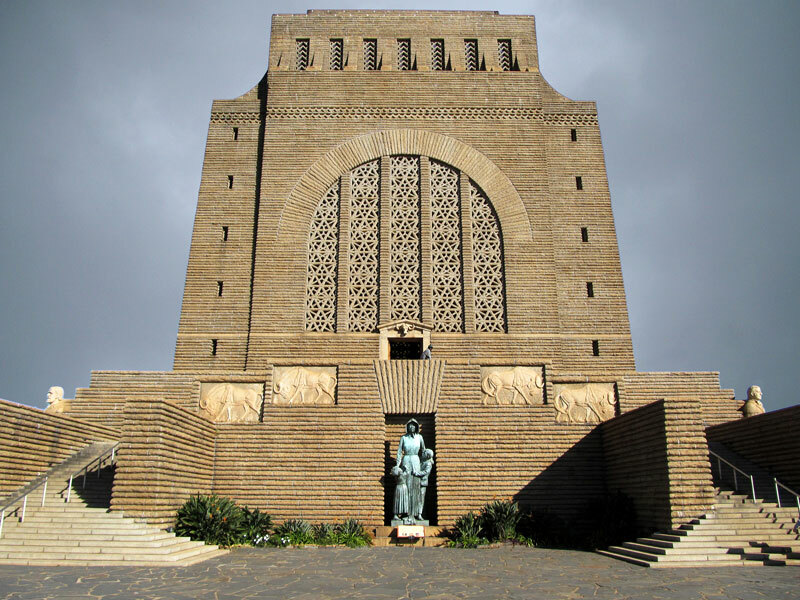 This English monumental style sandstone building, the Union Buildings by architect Herbert Baker, has been likened to a modern-day Acropolis, its slightly arched east and west wings curved to embrace the statue of Nelson Mandela. 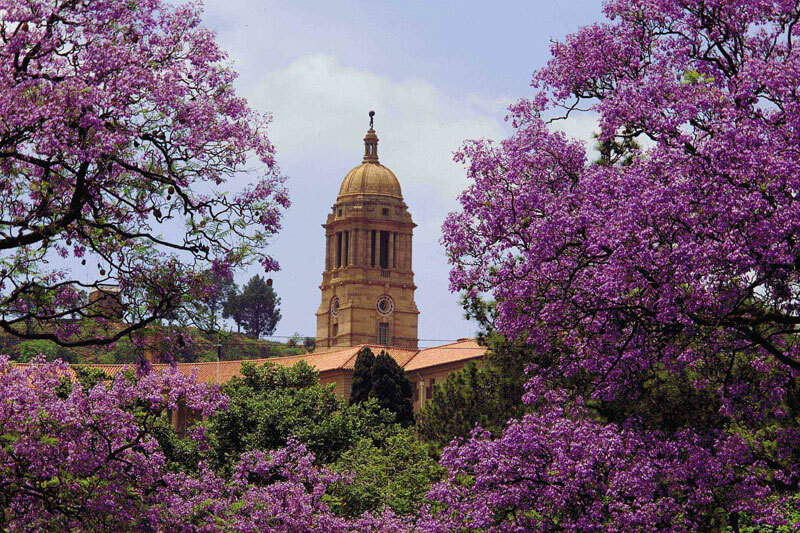 Explore our Administrative Capital and book a weekend or a few nights at accommodation in Pretoria. 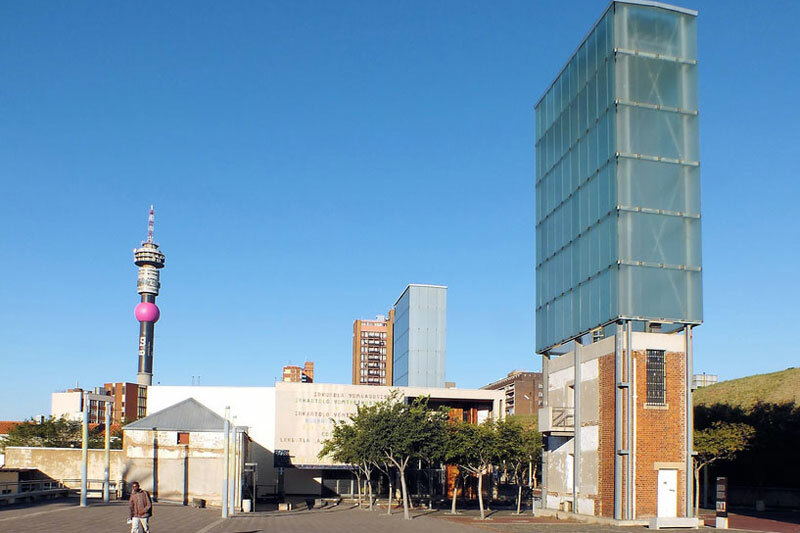 This giant monolith is a tribute to the pioneering history of the Afrikaner and one of 10 top cultural attractions to visit. The friezes on the building of the Voortrekker Monument are magnificent and the climb to the top well worth it for the views over Pretoria. The cenotaph is the central focus. Time your visit for 12 o’clock on 16 December and a ray of sunlight shines through an opening onto specific words. This incredible wall of mountain is fast giving Table Mountain a run for its money when it comes to South Africa’s most famous landmarks. Drawing photographers, hikers and outdoor lovers alike it forms the natural boundary between South Africa and the mountain kingdom of Lesotho. 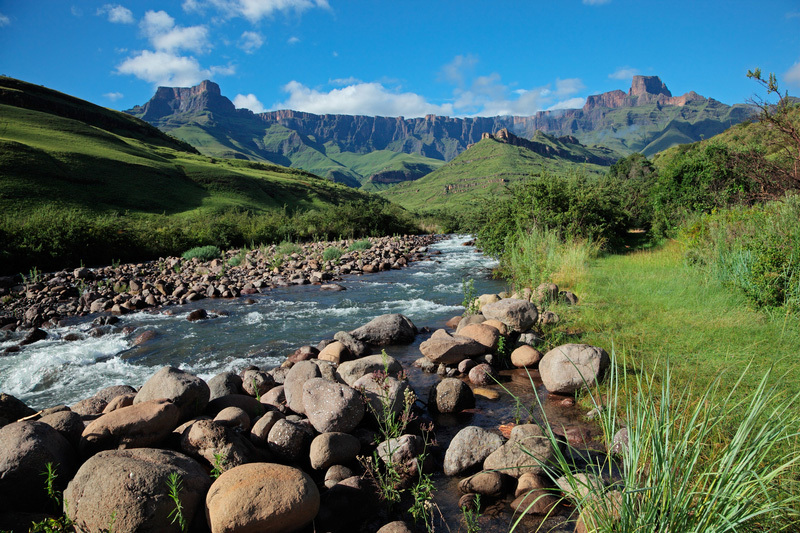 Book accommodation in Drakensberg. You’ll want to spend a few days here, if not a week or two! The Capture Site, the place where Nelson Mandela was finally captured before the trial that sent him to prison for years is between Nottingham Road and Howick in KwaZulu-Natal. 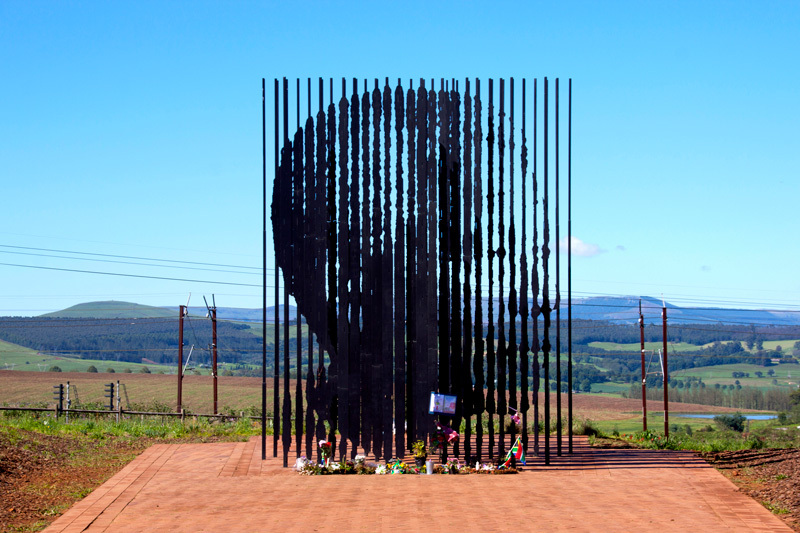 At its centre is a fascinating steel column sculpture that form an image of Mandela only when viewed from a certain angle. 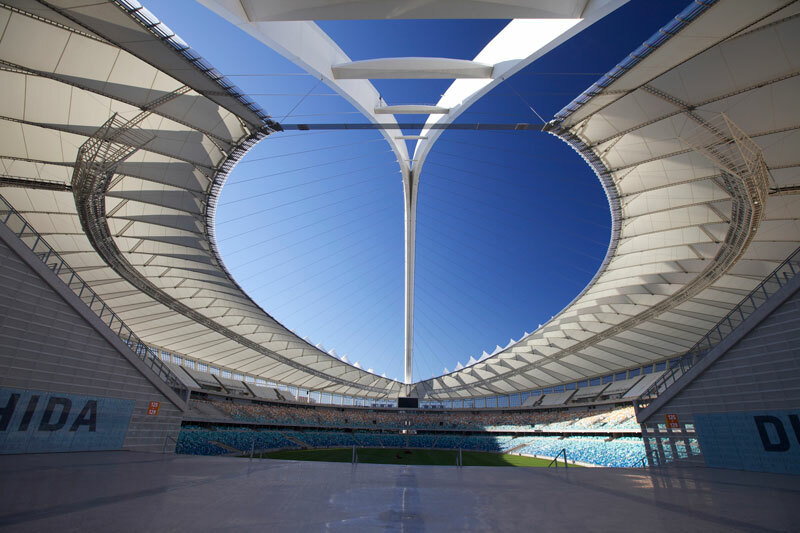 The icon of seaside city, Durban, the Moses Mabhida Stadium isn’t only good to look at. There’s a SkyCar ride to the top of its arch (or you can walk the 500 steps to the platform) with views to match. People’s Park is alongside. With so much to experience and do in this vibey city, you’ll want to book accommodation in Durban for a weekend or longer. 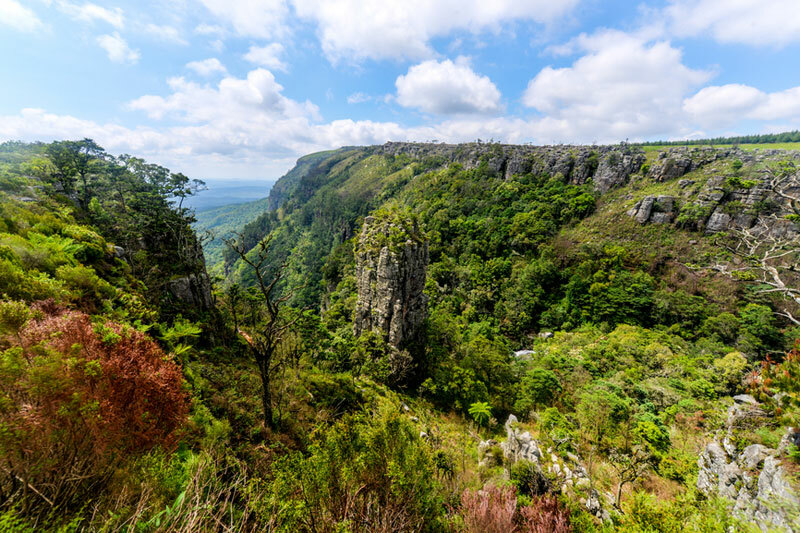 This unusual geographical feature, Pinnacle Rock, lies on the Panorama Route, one of Mpumalanga’s tourist routes. It’s a massive quartzite rock towering over the dense indigenous forest of Driekop Gorge. There’s also a waterfall, if you take the time to find it. 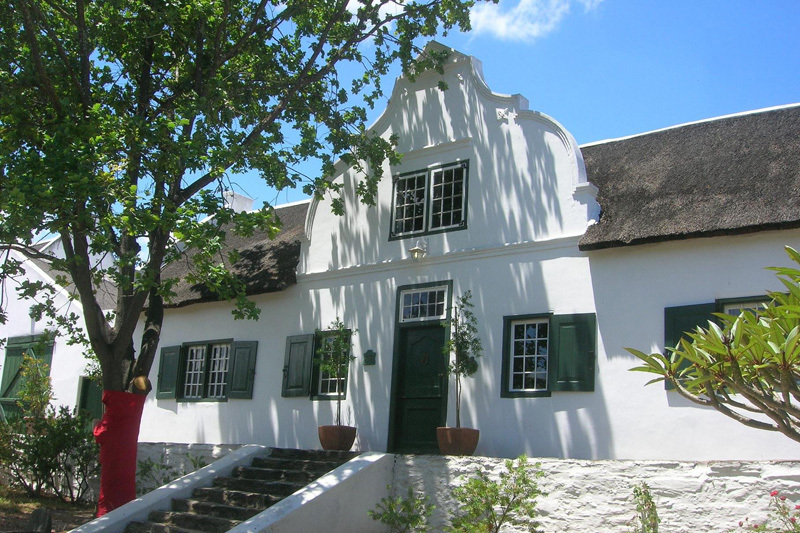 Book your accommodation in Graskop – it’s central to the many attractions in the region. 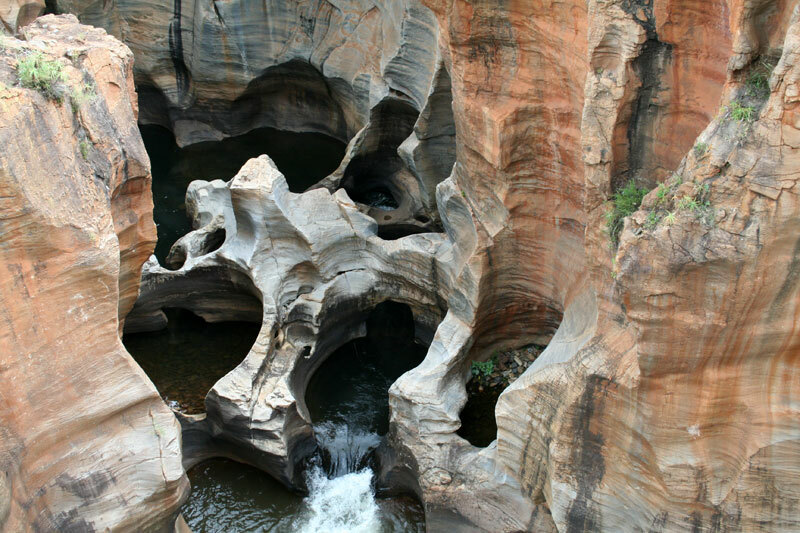 You can’t visit Mpumalanga and not go to visit these highly unusual cylindrical rock sculptures hewn by the swirling eddies of the Treur River where it meets the Blyde River, the combined tumult too much for the white, yellow and dark brown bands of rock. Find them on the Panorama Route. 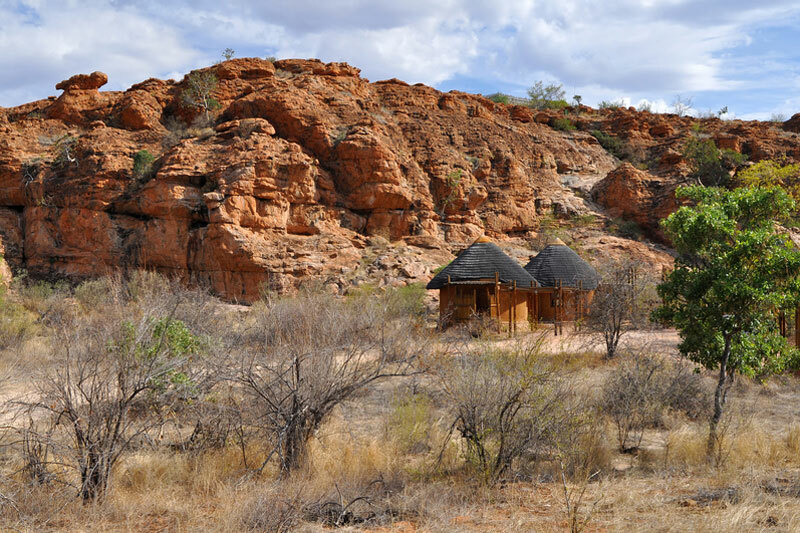 Mapungubwe National Park lies on the south bank of the Limpopo River where Botswana, Zimbabwe and South Africa meet. The hill is yet another flat-topped edifice, the site of what remains of an ancient civilisation – the rock served as home to a royal family, until it was abandoned in the 14th century (a state secret until 1993). How many of these Famous Landmarks in South Africa have you Explored? PS: Tell us in the comments below if there are any other famous landmarks in South Africa you think we should add!